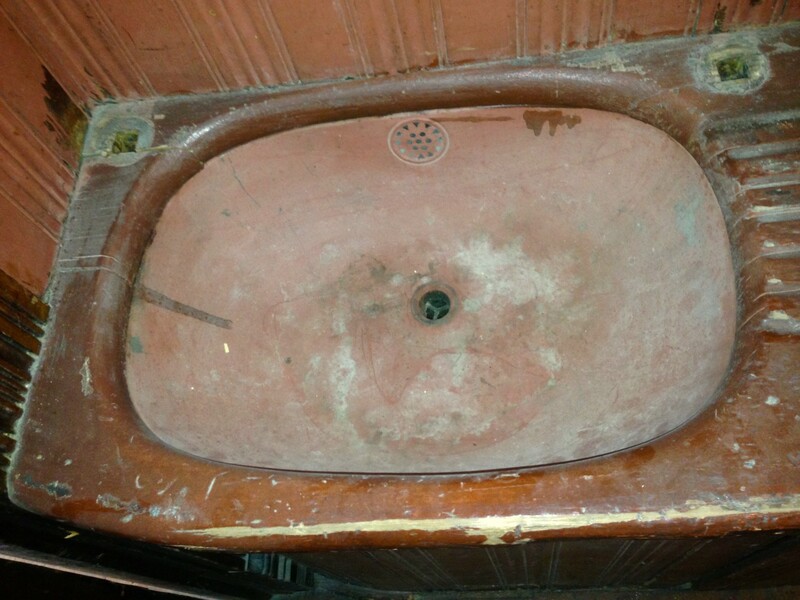 In my previous post on the butler’s pantry in the Cross House I showed this image of the original copper sink. But the faucets are missing. The faucets were a “single tap” type. It would seem easy to simply order a new pair, either reproductions or restored originals, right???????? Ah, no. It is not easy. 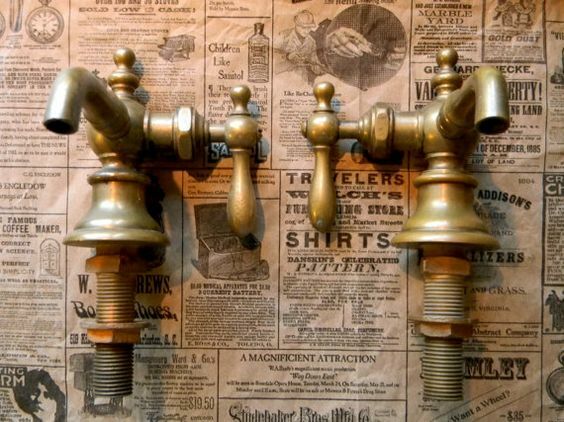 For, such taps, as available, are almost always later than the 1894 Cross House. And I have no idea what 1894 single taps look like! 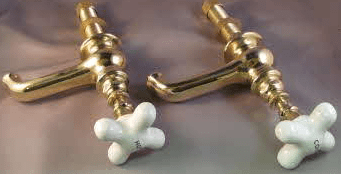 Below are a bunch of single taps. All are from Bathroom Machineries. But are any period-correct to the Cross House? Oh, the vexation! The vexation! 1920s. Lovely, but not right for the Cross House. Pre-WWI. But does this mean 1904 or 1894? Who knew that simply trying to buy faucets could be so vexing? It belatedly occurs to me me that there might, might, be a box of old plumbing parts in the basement. 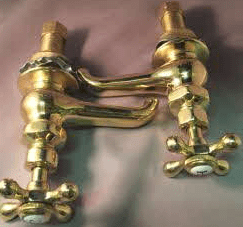 Might the original faucets still be in the house? My heart races with anticipation! 7 Responses to Damn! 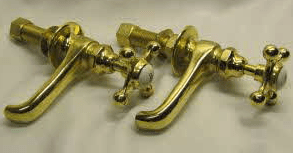 WHAT is a period-correct faucet???????? Do the square holes in the countertop offer any kind of hint? It seems odd to make square holes if they aren’t necessary. Seems like a square shank might somehow be involved. 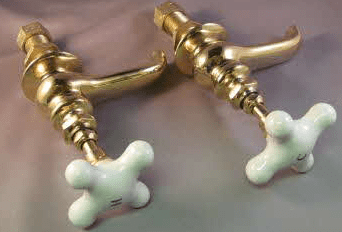 Or maybe brass, something like these? How funny – I neglected to read this before adding my comment on the previous post. 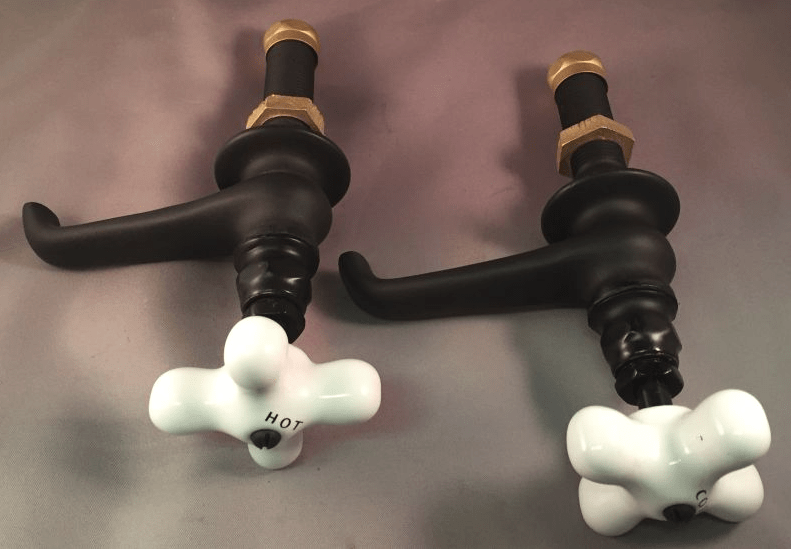 Most Victorian kitchens, and Victorian kitchen faucets, tend to be grossly over-designed based on false romantic notions and the general need for anything Victorian to be “fancy” – why they can just stick to the authentic basics I’ve never understood. Any Victorian kitchen done by Karla Pearlstein here in Portland is usually thoughtful and exceptionally sympathetic to period. 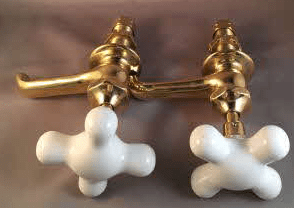 Polished Nickel is the only period-correct finish (most brass Victorian faucets you see were nickel and have just had all the plating worn or stripped off). And then put a standing soap dish or similar in the second hole – not an uncommon practice. Both of these faucets would be acceptable if they only made the same body form in a single-valve version. A miss for them there. All their single-valve bar faucets look wrong. 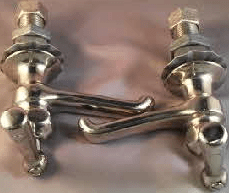 Chicago makes some with the right form factor (you can choose spout and handle options), but not the elegant period detailing (you have to have the chrome stripped off of Chicago faucets to get down to the nickel). I love it when you comment, Bo! You always have the BEST information.